More and more people are left on the sidelines in this affordable housing crisis. Rents and housing costs keep going up and up while wages stay flat. Even steady jobs like LaShonda’s can’t provide the income for homeownership anymore. That’s why your support is needed now more than ever. LaShonda had actually bought a home in 2006, but a divorce in 2009 left her back in an apartment with her two children during the Great Recession. In 2013, her workplace went through some changes and she had to work part-time. At the same time, she was having her third child. They had to find a less-expensive apartment. Through it all, LaShonda was persistent. She tried working with realtors and mortgage brokers. When her credit was an issue, she tried working with nonprofits to improve it. She read books, researched ways to save money, tried budgets and different credit-building strategies. But every time she tried reaching for homeownership, it felt just out of reach. One day, LaShonda was talking with a coworker about the difficult housing market. 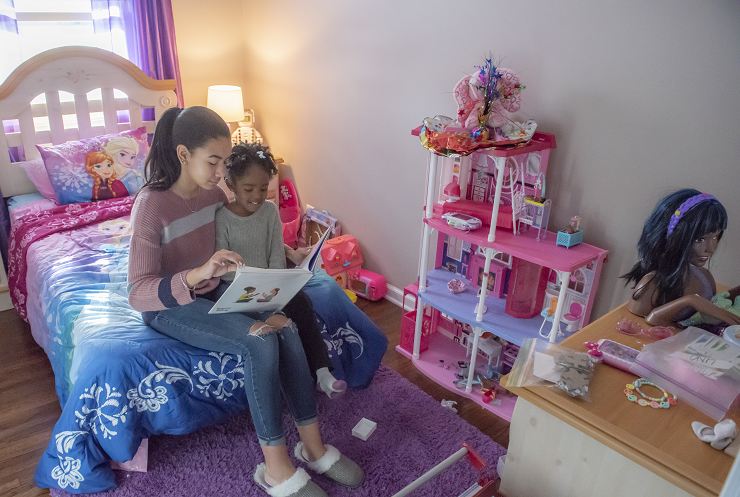 Her coworker mentioned that her mom had bought a Habitat home years ago—soon they were doing some research online. She was surprised to learn she qualified. Habitat Homeownership is designed specifically for those striving to get ahead—like LaShonda (and though she owned a home many years ago, LaShonda qualifies since she hasn’t owned in the last three years). She took Habitat’s homeownership classes, worked on her credit, and soon she was able to buy a home with Habitat in Cottage Grove. It was a perfect fit. 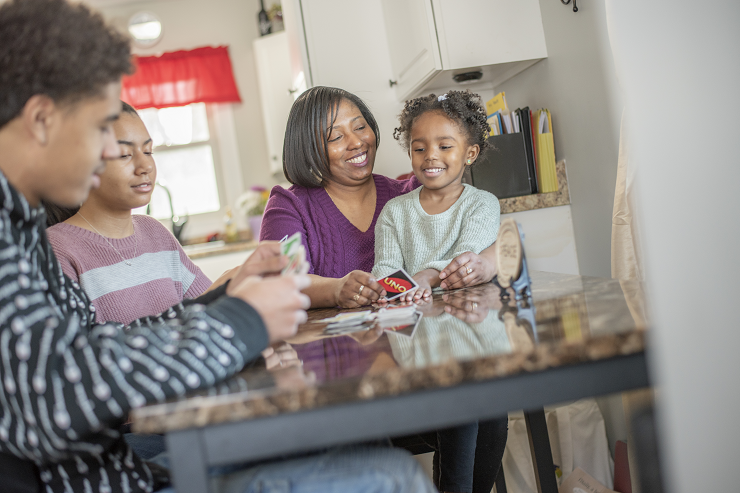 When you support Habitat, not only do your gifts ensure homes are affordable—you provide one-on-one advising, classes, and other critical support for Habitat homebuyers. When LaShonda finally received her keys, she felt overwhelmed—in a good way. Her girls were excited to finally have their own rooms. Her son started bringing his friends over, something he didn’t do when they lived in their apartment. One project she wants to take on is some landscaping—particularly adding a brick patio to the backyard. “The yard is so massive, it would be nice to eliminate some of the grass cutting,” she says with a laugh. Around the same time LaShonda was partnering with Habitat, she took another big step: she started her own home organizing business. It’s called A Place for Everything. She has a passion and talent for organizing, and the idea of starting her own business had been buzzing around her head for about five years. Now that she’s settled into her own home, she’ll be able to put more energy into her business. When you support Habitat, you join Habitat homeowners in creating homes that are filled with love and peace. You build places to study, places to grow a business—and a place for everything. 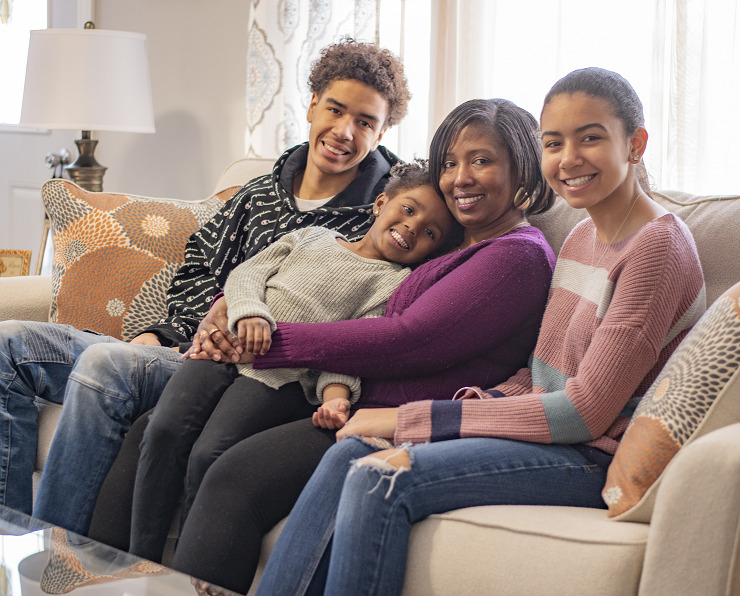 If you find yourself in the same bind LaShonda was in – earning too much for some assistance but not enough to buy a home – Habitat could be the perfect match for you. Learn more about Habitat’s homeownership program.